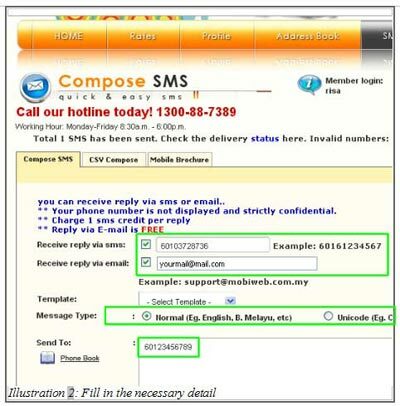 Bulk SMS Malaysia | How to Setup SMS Auto Responder - lowest price & most reliable Bulk SMS marketing tool, 2 way sms Malaysia, works with Bulk SMS Singapore, online sms solution, web sms marketing. iSMS provides an auto responsed function which is easy to use and user-friendly. 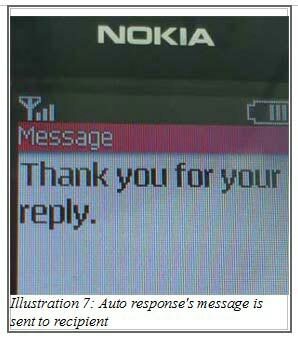 This auto response does not require you to reply to a message manually. 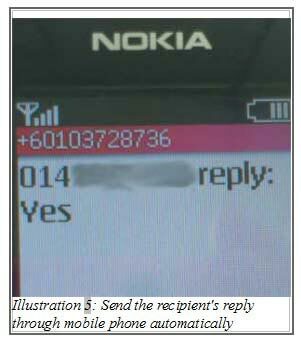 Instead, you could do it automatically after you get the reply from recipient. The reply of recipient could be send either to your phone or email or even both of them! 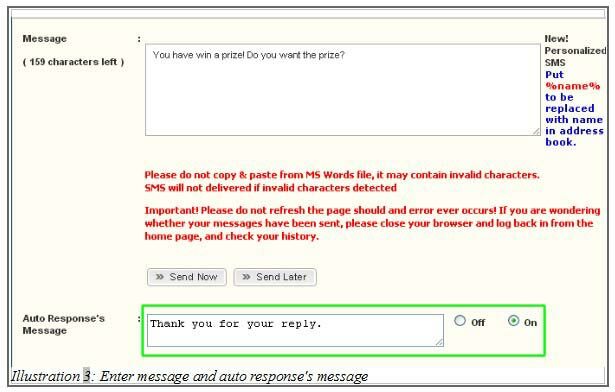 Below is a simple guide on how you can set the auto responder message. 1. 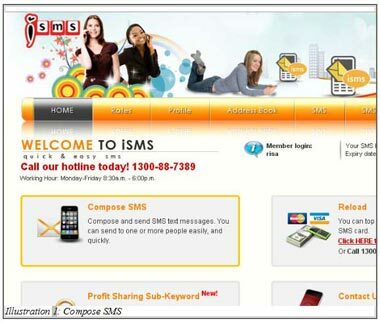 Firstly, login to your iSMS account and click on the Compose SMS in the Home page. 2. Next, fill in all the necessary details. 3. Type in your message in the field provided and click on Send Now or Send Later button for the message to be sent to recipient. 4. 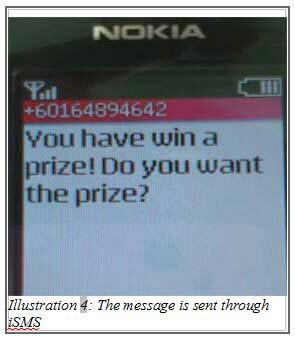 The message is sent to recipient. 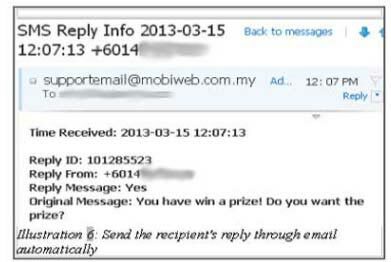 6. iSMS will automatically reply the recipient for you. The content of the message would be based on the text you have set in step 3. 5. After the recipient reply to you, you would received either a message or an email or both as illustrated below.